Also recently I happen to found a radio channel call Radio Dismuke, which features music from 1920-1930. Although I wasn't born around that time but for some reason these early years of jazz and swing music can always make me feel warm and relax, I guess they reminded me of the very early Disney cartoon background music. My friend Jerry is leaving UK soon, when I first met him he was still doing his Art A-level in high school, years just flying by. 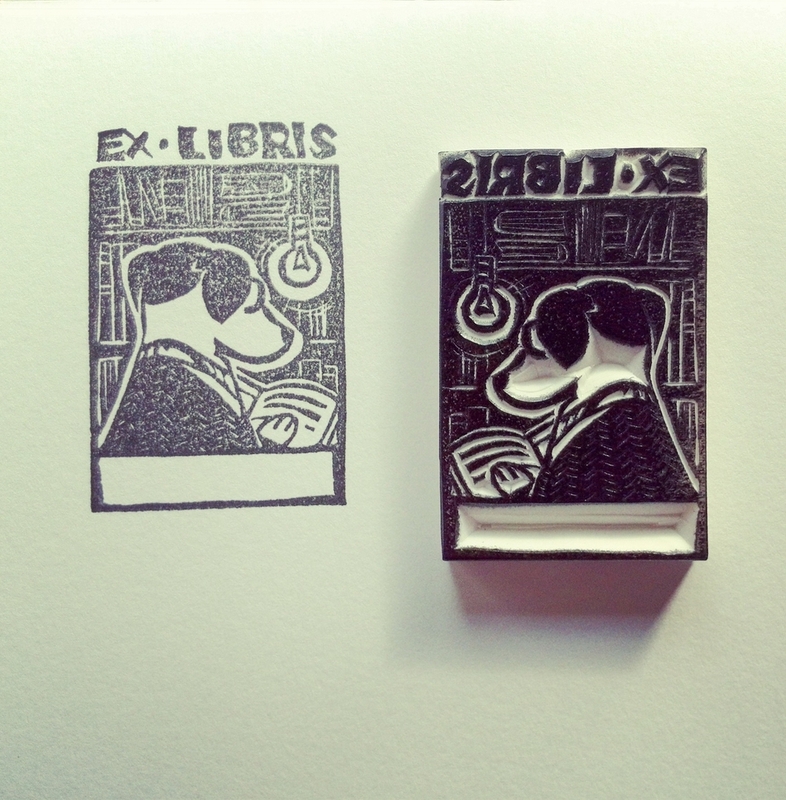 As for his religion I made a stamp for him specially to wish he the best luck after go back to China. The image "Praying hands" is a pen-and-ink drawing originally created by the German print maker, painter and theorist Albrecht Dürer, executed circa 1508. Although I'm kind of an atheist but I really like this image, it's simple clam and powerful. 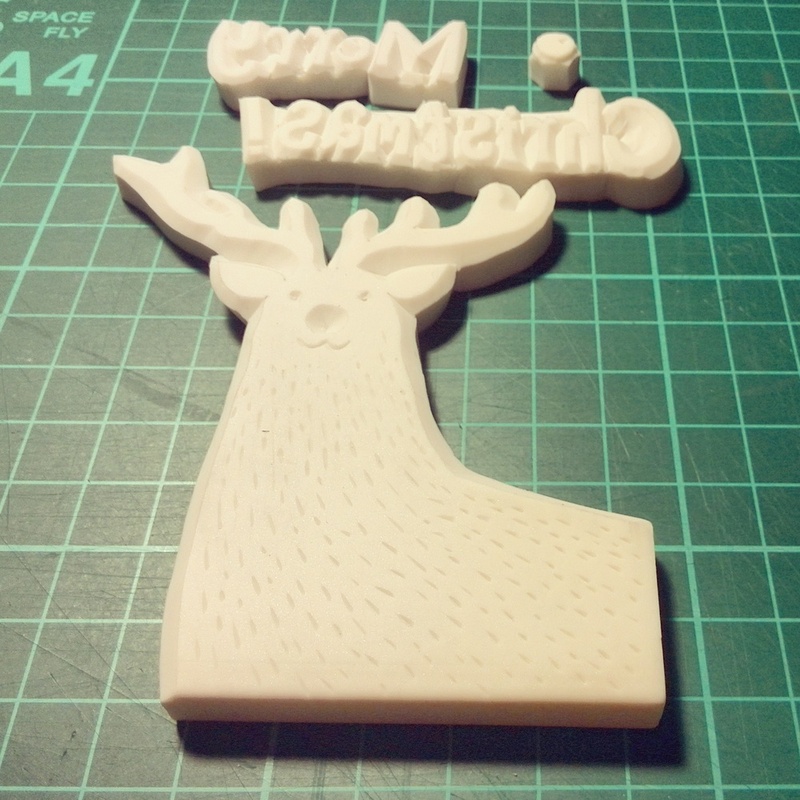 I tried to use the small round head woodcut knife this time to make the thin line, failed on first attempt ... 2nd try looks bit better. Need a lot control to avoid making the line appear uneven. 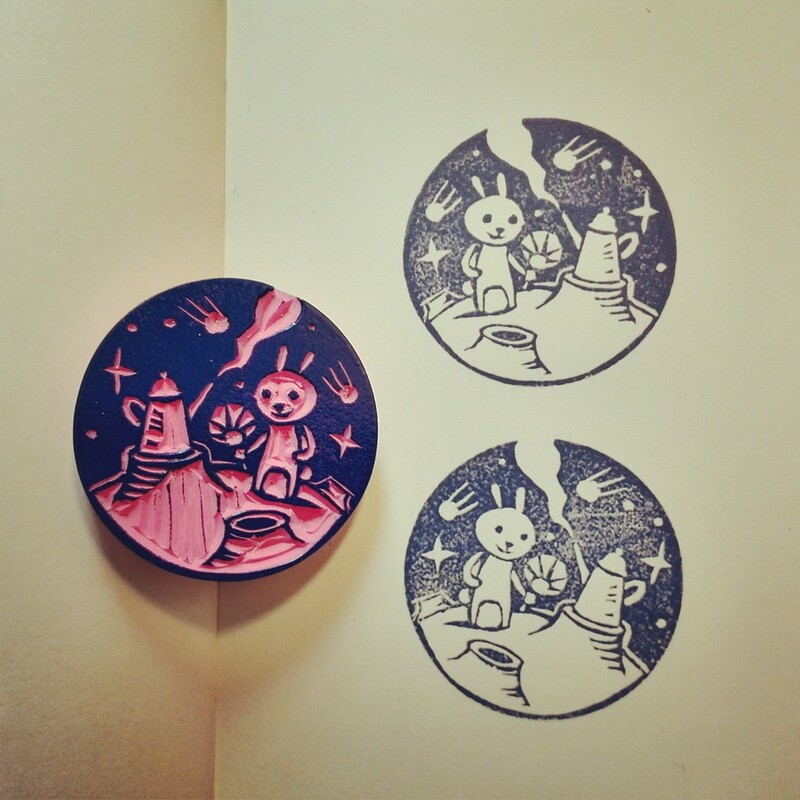 2 day after the Chinese Luna festival finally I got something to make this rabbit stamp during weekend. After finish the first stamp (white 3.8cm diameter) then I suddenly realize how much impact it made due to my one year lacking of stamp craving practices... yes, this year has been very very busy for me however I think it should not be the excuse. So i took on the 2nd try (pink 5cm diameter) which is a bigger block somehow made things a bit easier. I was still struggled about how to make the small round curve smooth like the eye area.